Avril is your perfect transitional shawl between spring and summer. 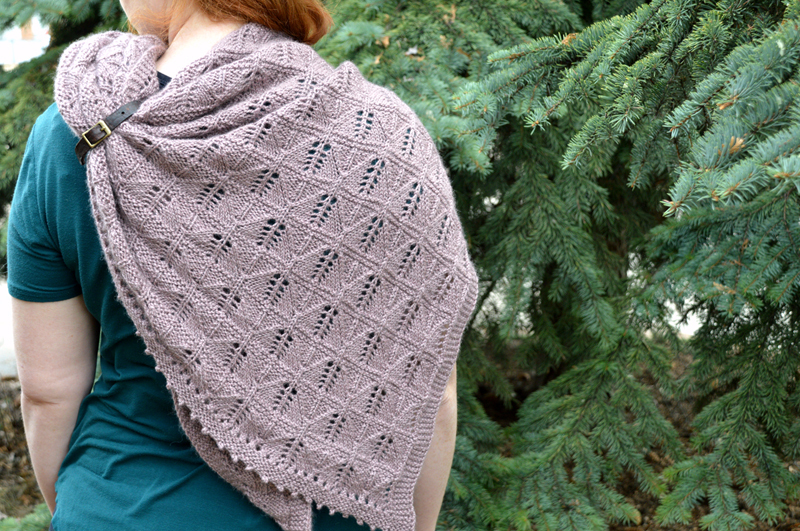 Using a DK weight yarn and an all-over lace pattern, this asymmetrical shawl gives you little bit of warmth and a little bit of airiness, making it perfect for layering on still-cool nights and unexpected spring showers. Avril includes both charted and written instructions, with further instructions on how to adjust to your desired size. Gauge: 20 sts x 32 rows = 4” x 4” (10 cm x 10 cm) in stockinette stitch, lightly blocked.